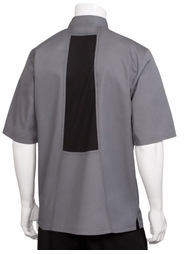 The VALAIS Signature V Series Chef Jacket combines style and functionality and is well worth considering. The half sleeve design lends itself well to this cool contemporary classic. The contrasting Black Top-Stitching gives a well stated, but perfectly subtle accent that ties handsomely with the Black Cool Vent back and under-arm paneling. A Chef Works branded top snap and single row of cloth-covered buttons give the coat a stylish uncluttered finish. 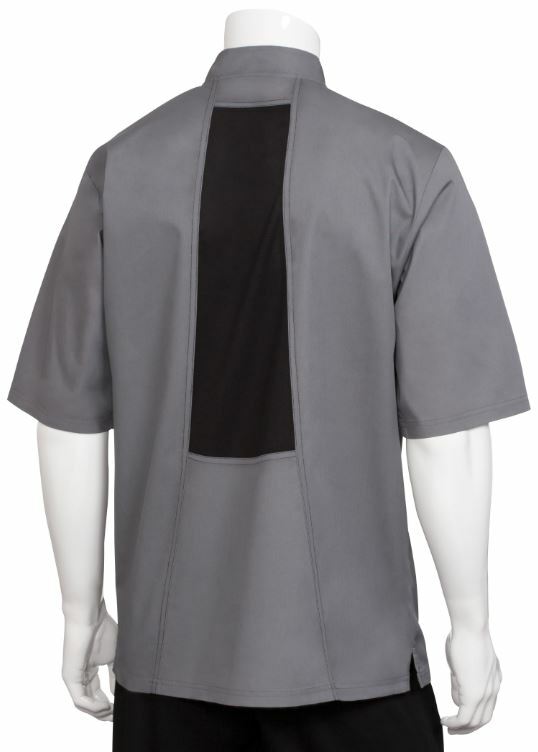 This Chef Coat can be personalized with Custom Embroidery, simply click the box above labeled embroidery and Thread Color options and Font Styles will appear. Corporate Logos can also be added. 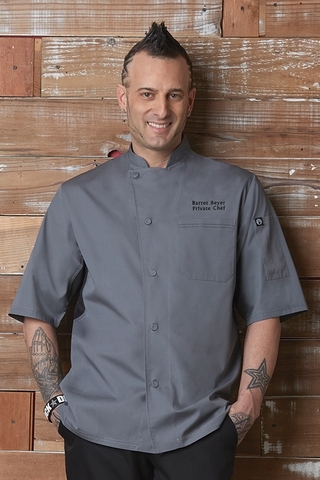 The VALAIS Chef Coat is available in sizes S-2XL. (Up Size Charges apply, our system will add the following: for size XL - $3, size 2XL - $6).